We are a mash up of culture and sport. Backshop Bikes is an adventure travel inspired bicycle tour operator based in Trinidad, Colorado and Antigua, Guatemala. Our goal is to be a trusted cycling travel partner for clients interested in visiting two unique destinations. Backshop Bikes creates access to cycling experiences rooted in cross cultural engagement and immersion. Both Colorado and Guatemala are special places to explore. We set up the chance for a cycling tourist do it like a local. We facilitate culturally inspired cycling experiences built around the fun of riding dirt roads and trails. We believe regions off the beaten path tend to be the most exciting places to explore on a bicycle. Whether in the U.S. Southwest, or Central America, Backshop Bikes clients will be captivated by the history, culture, archaeology, and landscape of two places influenced by Native American and Spanish customs. Backshop Bikes offers custom bike trips, shuttles, rentals and consulting services. Tell us what you’re looking to do, and we’ll put together a phenomenal cycling and traveling experience in either the U.S. Southwest or Central America. All shuttles start and end in either Trinidad, Colorado or Antigua, Guatemala. They are designed to access specific riding destinations. We currently offer a range of bicycle rental options in Antigua, Guatemala. They include hard tail and full suspension options and free you up to travel light. Backshop Bikes also offer sports tourism consulting services to event companies, brands, destination and government agencies. Thank you so much again for the opportunity to come mountain biking in Guatemala with Backshop. It has all the right components; adventure, travel, great food/drink, and most importantly, EPIC trails that will keep riders coming back time and time again! I'm already yearning for more! Wild and amazing riding. We ripped single track through corn fields, through little jungle mountain towns and roads through bustling villages. We watched the sun set behind an active volcano spewing red molten lava, visible from dozens of miles away as lightning struck the top of the volcano. Also, the coffee is awesome! 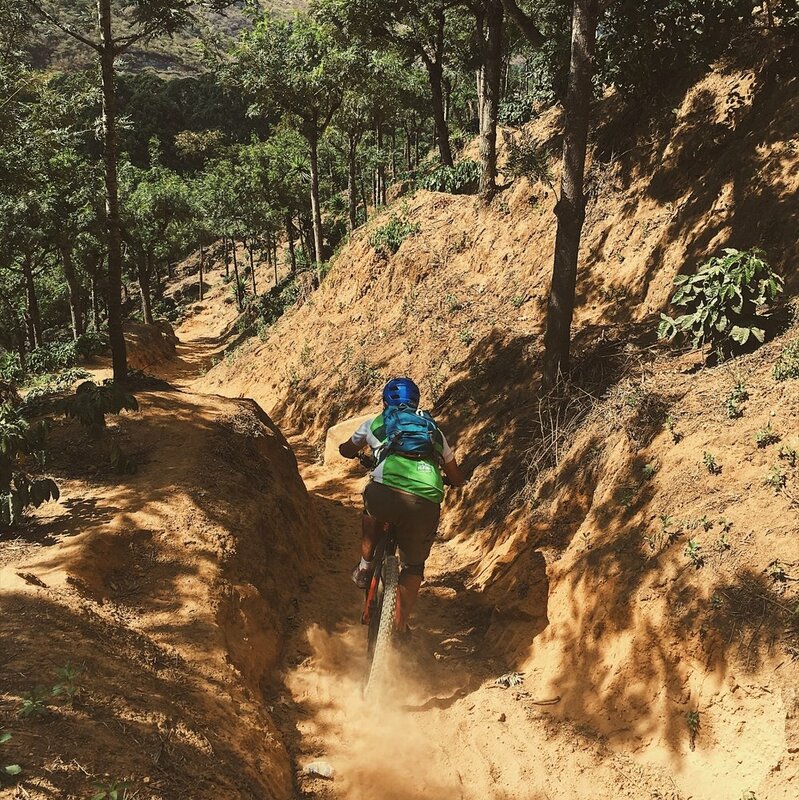 Awesome riding in and around Antigua, Guatemala. The Backshop crew delivered the goods! It was amazing to spin the legs on cobble stone roads and through farm lands while interacting with the local people. This place is so colorful and full of life, it’s an honor to take it all in.